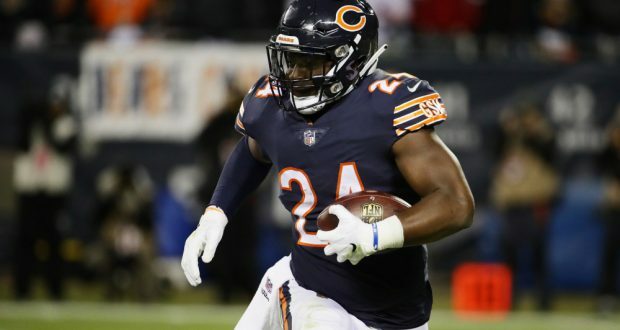 Thursday evening the Philadelphia Eagles acquired Jordan Howard from the Chicago Bears for a conditional late round 2020 draft pick. Howie Roseman was able to get his hammer for pennies on the dollar. 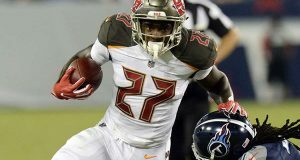 The Chicago Bears have telegraphed in recent weeks that they would be looking to move on from their former Pro-Bowl RB. Many in the dynasty community have poo-pooed the value Jordan Howard brings to an NFL team. However, his career average of 1,100 yards 8 TDs to go along with 24 catches for 189 yards per season is nothing to sneeze at. Let us take a look at how this trade will affect the fantasy situations on the teams involved. Despite his early career success in the Windy City Jordan Howard apparently did not fit into the Matt Nagy system. Howard’s ypc took a drastic drop to just 3.7 in his one season under Nagy. Howard’s difficulties were compounded by the success of fellow RB Tarik Cohen who flourished under the new coaching staff to the tune of 99/444/3 rushing to go along with 71/725/5 receiving. Cohen provided the big play ability that Howard simply could not match. This is not to say that Howard was not a talented player. As the season wore on Howard regained some of his early career form playing a much bigger role down the stretch. You can see from his numbers below that Howard will certainly leave some decent size shoes to fill in Chicago. Jordan Howard had more rushing yards over the first two years of his career than any RB in Chicago Bears history. The team will certainly look to increase the role of the diminutive dynamo Tarik Cohen in Howard’s absence. GM Ryan Pace has also added some depth with his signing of former San Francisco and Seattle RB Mike Davis. Some have projected Davis to be in for a large role in the coming season. I am not one of those people. I fully anticipate Chicago using one of their first picks in the coming draft to address the position. The Bears have been linked to nearly every one of the top RBs in the 2019 draft class hosting several for visits to Halas Hall. Davis will certainly have a role to play in the 2019 season but you would have to assume that the team would not pin their hopes on a player whose 4 year career has produced 234/862/4 rushing to go along with 59/408/1 receiving. If I were a Mike Davis owner I would use this window as the perfect opportunity to sell him before Chicago brings in competition in the draft. The Philadelphia Eagles played their hand to perfection. The team was seeking an early down RB to lead their committee in the coming season. Howie Roseman played the role of Wimpy and took his halfback today for payment next year. The Eagles will get a full season to see how Jordan Howard integrates into their team. For fantasy purposes, I see this as a lateral move if not a slight upgrade for Howard. In Philly, he will again play the early down hammer with the chance to score the bulk of the short yardage TDs. For all the talk of Howard being a zero in the passing game I have pointed out earlier that he is actually somewhat competent in this area catching over 20 balls a season. While the Eagles will certainly seek to pair Howard with a more dynamic receiving back his struggles in the pass game have been overblown. We are not dealing with Alfred Morris here. Howard’s career highlights below display the skills that got him selected to the Pro-Bowl in his rookie season. While it is true that Philadelphia has used a committee over the past couple seasons they have not had a back with the talent of Jordan Howard. The former Chicago Bear does not turn 25 until November and is still well within his prime years. The Eagles also do not have a back to pair with Howard who is anywhere near as dynamic as Tarik Cohen. Howard will likely get a season to stake his claim to a role on the team moving forward. One other area that could be of some help to Howard on his new team is familiarity with the verbiage of the system. Both Matt Nagy and Doug Pederson come from the Andy Reid coaching tree. As a matter of fact Pederson and Nagy are good friends who have worked together for multiple seasons. 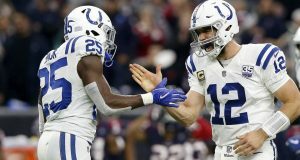 I would imagine that before pulling the trigger on this move the two former co-workers likely discussed what type of fit Howard would be for the Eagles. Howard should provide an early down upgrade for the Eagles running game while not being a total liability in the passing game or pass blocking. Jordan Howard had an amazing start to his NFL career. Over his first two years in the NFL he was number 3 in the entire league in rushing yards. 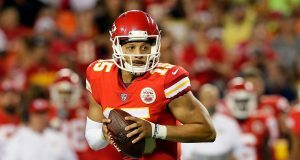 Despite his early career success he did not prove to be a good fit for Matt Nagy and the new coaching regime. The Eagles felt the need to upgrade their running game and were able to do it without spending draft capital in the 2019 draft. While it is possible they still seek to address the position this April this trade affords them the luxury of putting off addressing that position until next season. The Chicago Bears received very little in return for a player who had played a substantial role for them over his three seasons in the NFL. I would anticipate Jordan Howard once again being an RB2 on his new team. Just how good of an RB2 will depend on your league scoring format and how much Pederson chooses to integrate Howard into the passing game? One thing is certain, with only one year remaining on his rookie contract Jordan Howard will be looking to put his best effort on film to secure a second NFL contract.